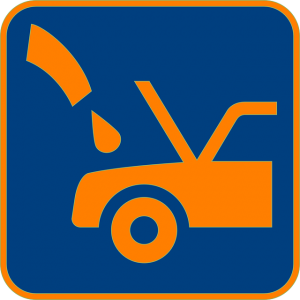 Motor oil is essential to keeping your car running smooth. Many times we underestimate the job that motor oil has in our vehicles. Here at Synthetic Oil Direct in Warrington we want to take the time to explain exactly what it is that motor oil does. Oil changes can get overlooked sometimes because we forget about the important role that motor oil plays in the life of our cars. Motor oils are not all made equal, but for the most part they all have very important jobs. It helps reduce friction between parts that can cause damage. It reduces wear on different parts of the engine. It prevents engine failure and breakdown. Synthetic oil, is the best type of motor oil because it provides additional benefits that many other motor oils cannot. These advantages, truly make a difference in the lifetime of your car and the quality of your engine's performance. It helps prevent dirt form building up. It does not allow large dust particles to build up and form greater dirt deposits. These deposits can grow in the long run and cause trouble in your engine, if you do not use a good synthetic oil. It protects your engine from high temperatures. It acts as a cooling agent in the heat to keep your engine from running smooth and overheating. It lubricates the engine in cold weather conditions. It allows the engine to warm up faster and perform better when there is low temperatures that might otherwise cause the engine problems. There are of course different types of synthetic oils. Amsoil oil is the best synthetic oil on the market. It provides the highest quality and most additional benefits. At Synthetic oil Direct we know the great responsibility that a motor oil carries, and we recommend only the best synthetic oil in Philadelphia and America. To purchase Amsoil oil in Philadelphia call us today at (215) 834-8720.